peoples in their struggles for justice and self-determination. 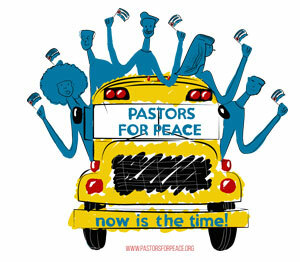 If you can’t come to DC, you can still make a difference. Make a donation today. ▀ Attorney Martin Garbus adds his voice to ending the blockade on Cuba. 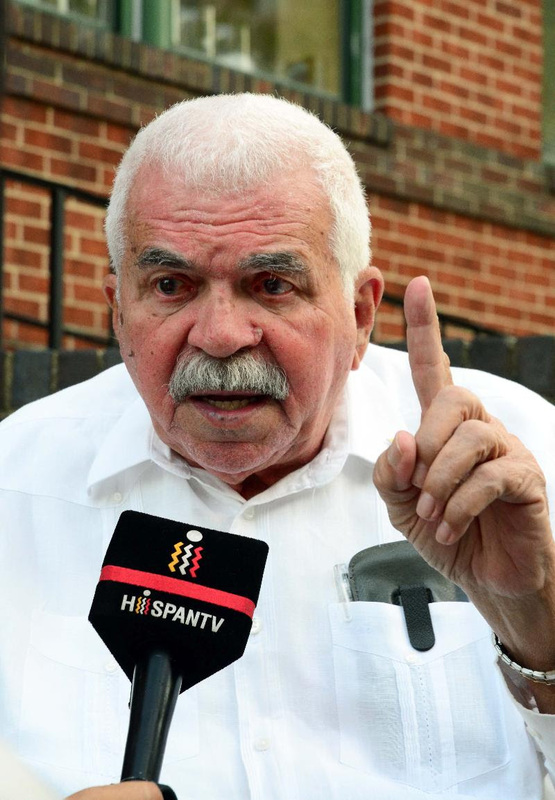 ▀ Rafael Cancel Miranda to speak on the struggle to free Oscar Lopez Rivera at the September 18 Conference. ▀ World-wide events to coincide with Days of Action Against the Blockade. Martin Garbus sends statement to the organizers of the actions in DC. Puerto Rico fighter for independence, Rafael Cancel Miranda will address the case of Oscar López Rivera and the world-wide struggle for his freedom. On Friday September 18 one of the workshops entitled, “The Struggle to Free Oscar López Rivera and Latin America under Attack”, will count with the presence of the legendary fighter for the independence of Puerto Rico, Rafael Cancel Miranda. The workshop will highlight the case of Oscar López Rivera, a Puerto Rico political prisoner held in U.S. prison for more than 30 years. 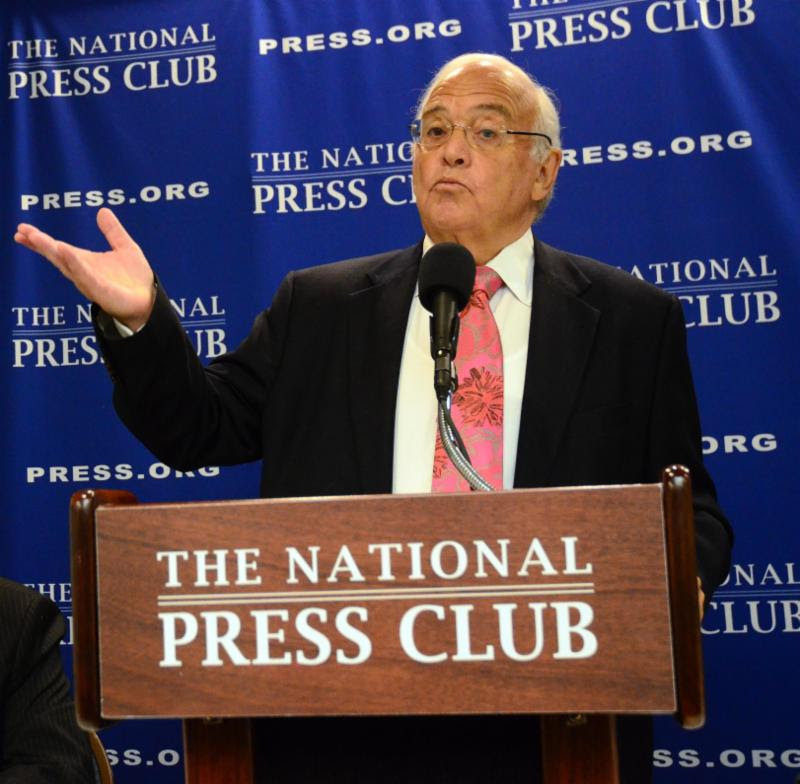 Cancel Miranda is a key figure of the Puerto Rico independence movement and a leading voice for the return of Oscar López. He spent 25 years in U.S. prison. Along with Rafael will be Oscar López ‘s Attorney Jan Susler who will explain the legal aspect of this important case. Other panelists will address the contributions of Cuba in Latin America and the continuing struggle in the region for independence. On October 4, 2014, the Governor of Puerto Rico, Alejandro García Padilla and Congressman Luis Gutierrez paid a visit to Oscar López Rivera. Calvary Baptist Church, 755 Eighth Street NW in Washington DC. Registration will be from 8:30 – 9:30. To pre-register for the conference complete the following form. Coinciding with the Days of Action Against the Blockade in Washington D.C., solidarity organizations will be holding events around the world, including Miami and Maine in the U.S. and Belgium, Brazil, Canada, Sweden and Russia abroad. 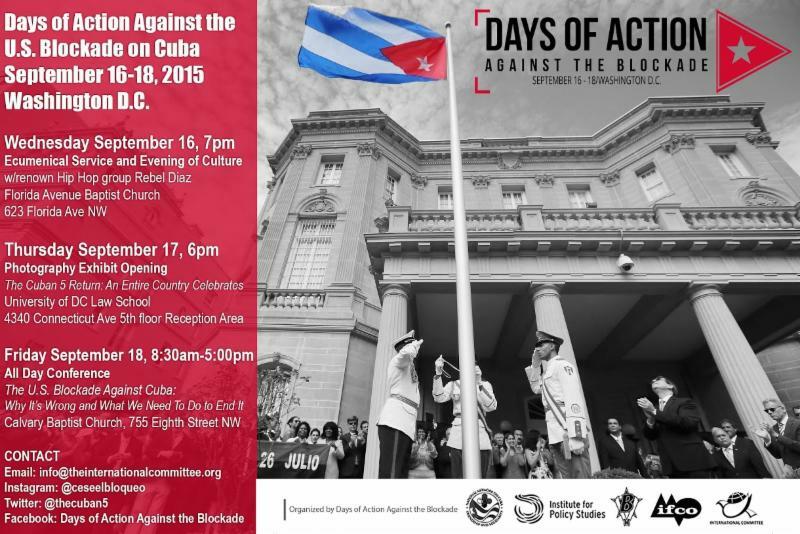 Be a part of this growing solidarity movement and travel with us to DC to participate in an all day conference The U.S. Blockade Against Cuba: Why It’s Wrong and What We Need To Do To End It on September 18th. The Caravan Bus will depart New York City on Thursday September 17th and return September 19th. What if I Can’t Make it to Washington? Visit the Facebook page here and help to spread the word about the DC activities. 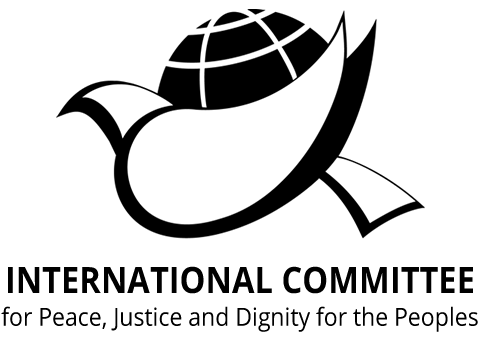 IFCO/Pastors for Peace, the International Committee for Peace, Justice and Dignity for the Peoples, the Institute for Policy Studies (IPS) and have been endorsed by the National Network on Cuba (NNOC), the Venceremos Brigade (VB), and many other national and international organizations. ← Danny Glover Adds his Voice to Actions Against the Blockade in Washington D.C.